Shamanism is an ancient healing tradition and a way of life from cultures around the planet. The teachings of shamanism focus on our connection to nature and promote well-being of all creation. Essential aspects of the shamanic path include journeying, ceremony, sacred dance and pilgrimages to places of power in nature. Through these techniques the shamanic circle embraces us, unifying our lives with strength, healing and love. A Shaman is an intermediary between this world and the spirit world. They act on behalf of the community; conducting ceremonial rituals, healing the people, and helping to guide others on the shamanic path. A Shaman’s life belongs to the village and it is their responsibility to ensure the well-being of the family, the community and all of creation. In this way the shaman helps to maintain balance and harmony on both a personal and planetary level. During these sessions we will explore the basics of shamanism and the path of being in service to the People. 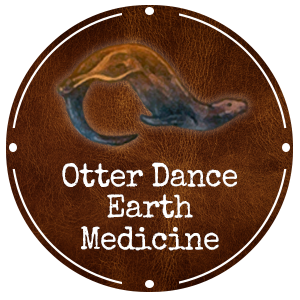 Robbie, Otter Woman Standing has been on this spiritual path for 19 years and has learned from many teachers around the globe. Her understanding of shamanism grows every day with every interaction. She is in service to the people and has dedicated her life to these teachings. Each session students will come together for hands-on exploration and training in shamanic ceremonies, healing practices, and energy work. Students will learn to create your own Medicine tools, Sacred bundles and Medicine Drums and Rattles and to step into and hold Ceremony. You will be asked to explore these practices further each month between sessions and will be given work to complete before the next session. Each student will have a monthly mentoring call with a Teacher/Practitioner, and 4 Shamanic Healing sessions with Robbie through out the year. The online teaching from Robbie, A HEALER’S GUIDE TO THE WORLD, is included in the tuition. These 9 webinars will be sent to the students between Part One and Part Two of the training. If it is time for you to step onto this Path of Service, this teaching will help you open your heart and see the truth of yourself. This course will challenge you to bring forward the authentic and tangible Healer that is within you. It will also empower you to remember your connection to all that is Sacred, to all our Relations and to Mother Earth. Practical Shamanism is the first of 3 courses. This is an intensive course designed for those who are feeling the call to study Shamanism, Medicine Work to move into the space as a healer, and for those who have a desire to learn more about Shamanic practices and ceremonies to enhance their Spiritual Growth. In this course, we will discover the core of Shamanism that weaves through various cultures from around the world. This course is designed to provide you with a broad foundation of practices and ceremonies to assist you in your path as a healer or to enhance your current Spiritual Practices. Students will come together for hands-on exploration and training in shamanic ceremonies, healing practices, and energy work. Students will learn to create your own Medicine tools, Sacred bundles, and Medicine Drums and to step into and hold Ceremony. We will come together for two sessions of 3 days each session. Lodging and food is included in the tuition. Space is limited to 16 students in order to keep the intimacy and connection to each other as we move through this training. Shamanic Healing is the second of 3 courses. This is a comprehensive hands-on course designed for those who are feeling the call to Shamanism, Medicine Work to move into the Space as a healer and for those who have a desire to learn more about Shamanic practices and ceremonies to enhance their Spiritual Growth and self-healing. 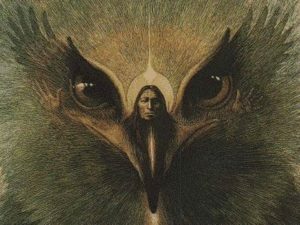 In this Course, we will explore the core of Shamanism and have hands on experience in various Shamanic Practices and Ceremonies. This course is designed to provide you a deeper understanding of Shamanism and it’s practices as well as providing you guidance in integrating these practices into your path as a healer for others or your own self-healing. This Shamanic Immersion is designed to delve deeper into the Shamanic practices and to working in a constant state of connection to the Spirit World. We will come together as a group to support each other and to connect on the deepest levels to our own true calling by Spirit. This will be a time of self-exploration and understanding through the ancient ways of the Shamans. It is time for us to step up and be prepared for the path in front of each of us. This will take us all to places in our lives and in our spiritual practices that we can barely imagine right now. The Immersion will focus on 3 aspects of preparation, exposing and removing our fears/blocks, creating personal relationships with our Guides, and becoming open to our visions and inspirations. Those who wish to join the training will be asked to make a commitment to the Full Course of Shamanic Studies — If you have NOT been in Ceremony or private session with Robbie before, you must contact her for an interview. Space is limited in order to keep the teachings intimate and allow for a full exploration. Tuition for the year of Shamanic Studies is $4960 and includes all materials for making Medicine Drums and Rattles, lodging and food. A non-refundable deposit of $1240 is required with registration to reserve your space. Please contact Robbie privately through email Robbie@OtterDance.com to receive the Registration Form for this course.